What type of urgency do you place on optimal circulation? For most this is likely none of at best very little. Often circulation does not become a topic until somebody is diagnosed with heart disease, nerve damage or other significant health challenges. One of the reasons we do not have and urgency is simply due to the fact that we take circulation for granted. This due to the fact that our parasympathetic nervous system has a supervising position over proper circulation without us having any conscious focus in this area. With this said, circulation is often an "out of sight out of mind" story. Another reason circulation does not receive any urgency is the fact that many of us are not aware of all the factors that are dependent on proper circulation. Often if we understood what was occurring (or not occurring) in our body with optimal vs. challenged circulation, we would then have a completely different focus. One last factor that is so important, is that most do not understand that circulation is an issue until there is a significant health challenge. If we had easier ways to understand our own personal level of circulatory success or failure, we would likely create and urgency before the breakdown. If you have been reading the Depke Wellness newsletter long enough, you already understand our focus on addressing health challenges long before they are "in your face" issues. Everything mentioned above will be discussed in today's article. First off, do not take circulation for granted! Yes, your blood will be flowing until you die but that does not mean it is flowing well. To be completely candid, a lack of blood flow is a regular challenge that I see with clients on a daily basis. Take this for granted while your blood flow is actually challenged, is a recipe for disaster. Understand that you won't see lack of proper blood flow on a death certificate but this is an underlying challenge tied into any and all chronic illness. Be sure to find your urgency in regard to proper circulation and the circulation will take care of you. So why is proper blood flow so important? It carries nutrients, circulates oxygen, assist the immune function in attacking infection, transports hormones and transports waste, just to name the most important factors. Let's look at separately. Since oxygen is the number one fundamental of health, we'll start here. The air that enters your lungs is exposed to approximately one quart of your blood as you inhale. As that one quart of blood soaks up the oxygen in that breath, this is then dispursed throughout your body to oxygenate the cells in your body. If circulation is an issue, this may hinder your body's ability to deliver oxygen to all the cells in your body. When we are talking about nutrients, it is important to recognize that as nutrients are absorbed and assimilated via the small intestines, these nutrients then move through the body via proper circulation, thus feeding your cells. Again, poor circulation means poor cellular nutritional uptake. As far as the immune system and hormonal systems are concerned, how do you think the immune system cells and proteins as well as hormones are transported throughout your body? Yes, absolutely via proper circulation. And do not forget your body's ability to detoxify. Proper circulation is needed for you body to move toxins to the proper channels of detoxification and elimination. By this time, I am sure you get the picture. Proper circulation is of utmost urgency for all of us. So how can you tell if circulation is an issue for you and what would you recognize in this case? There are a few easy way to tell is circulation is an issue. One easy way to recognize poor circulation is to be aware of cold hands or feet or even a numbness or tingling in your hands or feet. If you are one of the individuals that is generally complaining about how cold your extremeties are with regularity, you likely have poor circulation. This occurs because due to the fact that poor circulation is generally leading to poor periphial circulation, which means you do not push the blood into the smaller capillaries in the extremeties of the body. This leads to the mentioned cold hands and feet, sometimes even a numbness or tingling but also another challenge. Think about is, what is the other extremity of the body? This is your brain and when your circulation is lacking this hinders brain function leading to poor mental clarity, moodiness, and/or poor memory in the early stages. You know, exactly as most think of as normal aging. Think again! Another tell tale sign of poor circulation can be seen via the tool of fingernail assessment. At the base of every nail, except the pinky finger, you should have a half moon or professionally referred to as lunulae. Your largest lunulae should be on your thumb and gradually going down in size to the index, middle and lastly ring finger. Remember, none on the pinky finger. If you are missing any lunulae or if they are smaller than need be, this is a tell tale sign that your circulation is less than optimal. The picture on the right show a healthy lunulae on the thumb and remember, these should be slightly smaller on the index, middle and finally ring finger. So what do you do if your circulation is less than optimal? Well fix it of course. One of the things to do is start moving your body. The amount of time we spend sitting in this culture is such a challenge for circulation. I do want to make a strong point though. I have many clients, even including myself, that have a quality exercise regiment, yet they still show up with challenged circulation. In these cases, which is most, I have recommended many different supplements over the years. 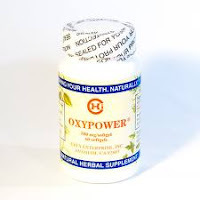 A homeopathic liquid called Aesculus, a liquid supplement called Nitric Balance, a capsulated product called Neuro2 but my favorites that I use with my clients as well as myself personally is a combination of Chinese herbs in Vein Lite along with another supplement called Oxypower. The Vein Lite has been shown to have and amazing effectiveness in increasing circulation and I recommend the Oxypower because of the benefits list below. 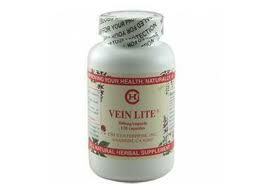 The Vein Lite and Oxypower is the one two punch that I always recommend. I take both of these myself due to the fact that the lunulae are very small on my index fingers as well as preventive based on a history of demetia in my family. Hopefully I have created and urgency for you to at least create and awareness of proper circulation. If you have the signs of poor circulation, do something about it. It is your life and you can chose to live it to its fullest! If you have any questions or comment, please post these below and I will address them personally.